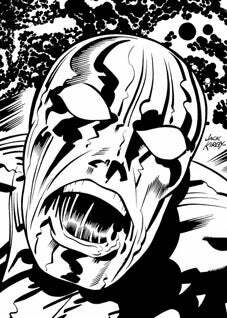 Saturday, August 29 4-7 p.m.
Monday, August 31 - 10 a.m.
Saturday, September 26 - 1 p.m.
Famed comics artist Jack Kirby, whose work launched The Avengers, X-Men, Captain America, and the Marvel Universe, is the focus of an exhibition at the California State University, Northridge Art Galleries. While focusing on Kirby’s later work, from about 1965 on, the exhibition will document his entire career, which lasted more than half a century and involved almost every major publisher in comic books. Comic Book Apocalypse is curated by Professor Charles Hatfield, founder of CSUN’s popular “Comics and Graphic Novels” course and the author of Hand of Fire: The Comics Art of Jack Kirby. The show, one of the largest-ever exhibitions of Kirby, will highlight the latter half of his roughly half-century career, particularly his work in the superhero and science fiction genres. Mon - Sat: Noon - 4 p.m., Thurs: Noon - 8 p.m.
Closed Sundays and Holidays during exhibitions. Mon-Sat 12-4 p.m., Thursdays 12-8 p.m.
For more information, call 818-677-2226 or visit www.csun.edu/artgalleries.